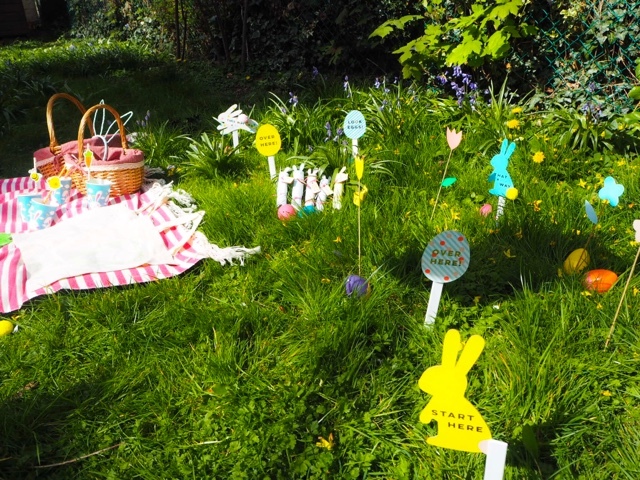 With spring in the air, daffodils in full bloom, the shelves stocked with Easter eggs children broken up from school and family and friends preparing for Easter holidays abroad. 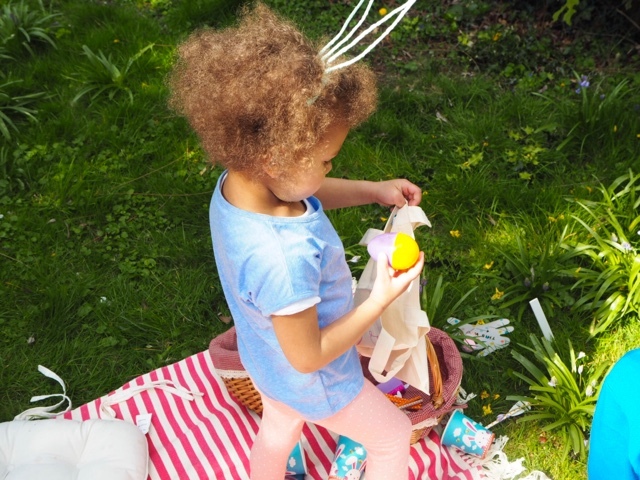 I have teamed up with notonthehighstreet.com this Easter for their 'Doing It Differently' Easter Series to bring you know my Easter Egg Hunt no matter where you are in the world. For me, as a kid, Easter was about gorging on too many chocolates, eating plenty of food with family, mostly fish and attending Church on Sunday. Now that I am a Mumma I wanted to go one step further and incorporate more fun into it, with a little helping hand from notonthehighstreet.com I am able to do that not just for this year, but many more to come. Now what may you be wondering what will I be doing different, well the difference is I'm a Mumma and I'm adding a touch of personalisation to our Easter Egg Hunt which can take you outside in the garden, indoors if you do not have one, or if the sun is shining, why not grab your troops and head off to your local park or beach for you very own personalised Easter Egg Hunt. 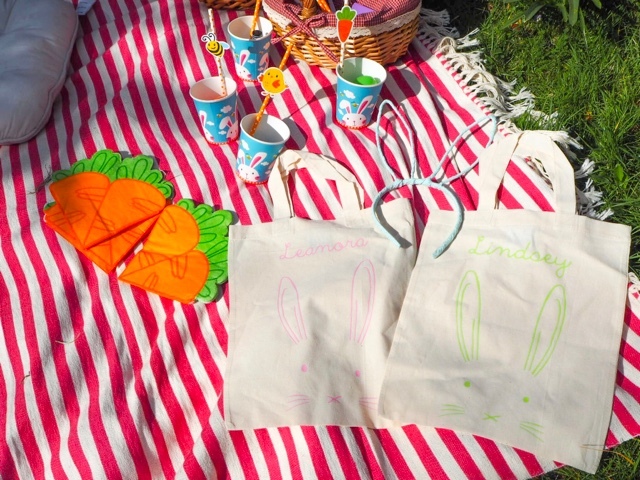 To get all your goodies to its destination, you are going to need something to carry it all in, and what better way to transport all your Easter egg hunt goodies, by loading up your very own personalised Easter Egg Hunt Bags with your family and friends names on it from Ellie Ellie plus it is a perfect way double up as bags to collect Easter eggs and makes a perfect gift for each child to take home. 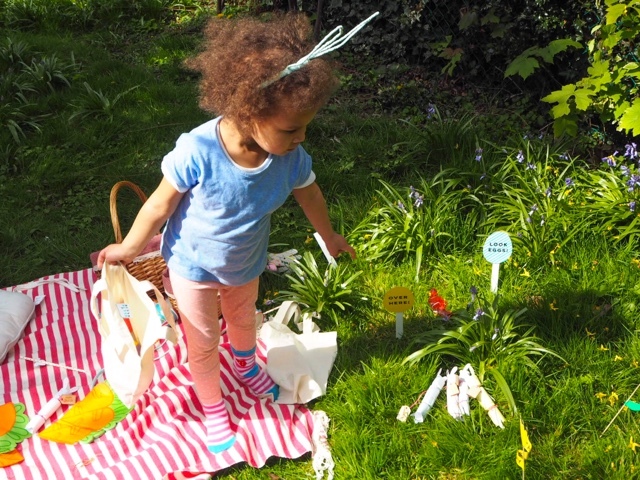 Be it at home, indoors or in a park, you are going to have to let your party or should I say Easter Egg Hunters know where your party is, what better way to welcome them and point them in the right direction by hanging your very own personalised sign by Post Box Party. Once all your guests have arrived, they will need something nice bright and cosy to sit on and I've the perfect Spring blanket from The Elephant Stamp. When decorating I like to opt for bright and colourful decorations, it is Spring after all and the sun is shining, no one wants to be at a dull party, so by adding a touch of bright colourful decorations to the mix it is easier for the little ones to spot those hidden eggs, plus once all the fun is over and you get home, you can help the younger ones learn their colours. 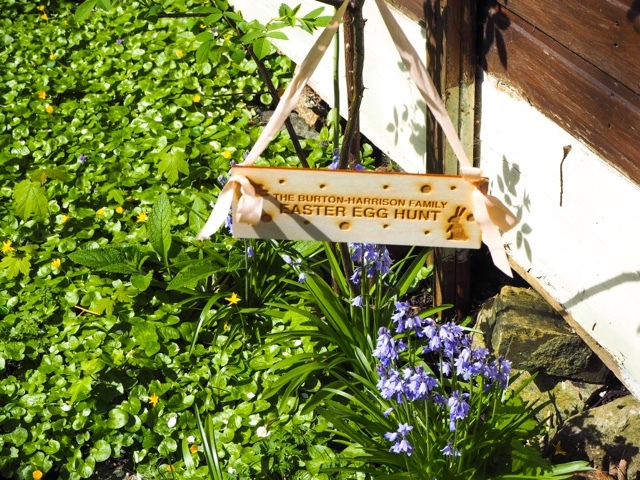 To let your little egg hunters know where to look for those chocolatey delights are hiding Party Box have the perfect decorative personalised egg hunt sign to point the little ones through, they remind me a little of Alice in wonderland and she is chasing the rabbit! 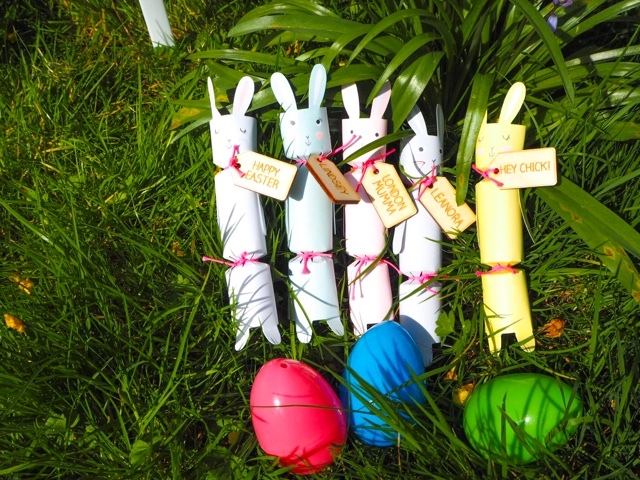 Once everyone is tired out, all the eggs have been found and sandwiches are eaten, Post Box Party have some delightful personalised bunny rabbit crackers as parting gifts to pop into each child's goodie bag, yes big kids too (adults FYI). 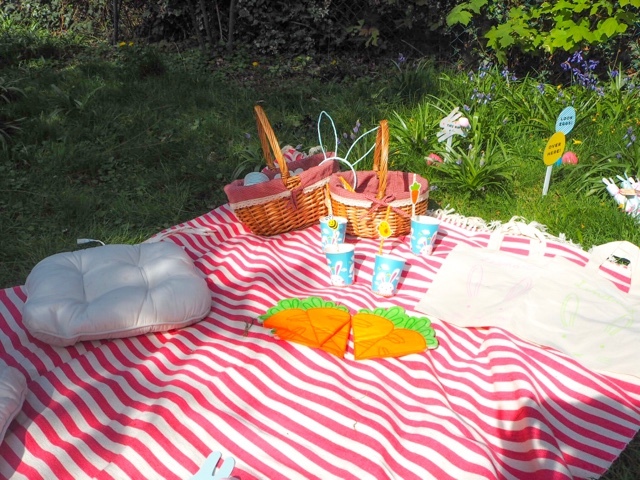 With these top tips, you and your guests will have an eggcellent time and a massive thank you to notonthehighstreet.com for collaborating with me on this post.